Russia spent over $50 billion on the 2014 Sochi Winter Olympics making it the most expensive Olympic Games of all-time. Martin Muller, a professor of geography at the University of Zurich, who spent five years studying the area, estimates the public is paying more than 90 percent of the Games’ reported total price tag, according to The New York Times. Before the Winter Olympics, Sochi had all of one ski-lift. Eighteen days of Games later, Sochi has 700 sports grounds, four ski resorts, five sports arenas and one stadium. They also benefited from an upgraded power grid, airport and sewage system, plus 220 miles of roads and railways built for 20,000 visitors an hour. A very real threat by terrorists to disrupt the winter Olympic Games hung over the world’s largest event. Technology was in place to ensure that residents and global travelers were safe in the new Sochi airport, train stations and stadium venues. No doubt the threat of terrorism caused Russian decision makers to spend more on security than in hindsight was necessary but everyone understands why this was done. 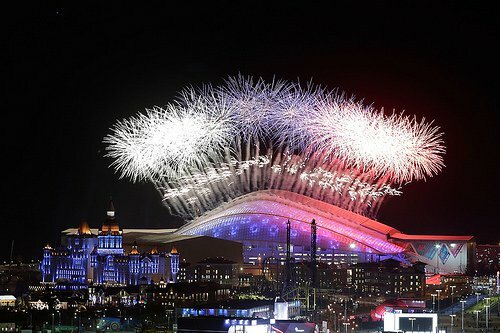 For this tremendous achievement, we say thank you to Russia’s 145 million people, the 400,000 good people and unknown number of dogs of Sochi, the 25 million Olympic volunteers, and the well-intended organizing committee for hosting the most sports technology centric and safest Games ever. 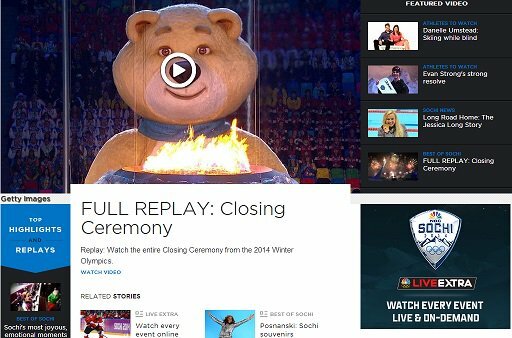 Some of my favorite Sochi sports technology related stories include the fact that 1,539 coverage hours on NBC, MSNBC, NBC Sports Network, CNBC, that equals 64 days of coverage, was incredible if you had access to the Live Extra App on your smartphones, tablets and computers. When 500 sports tech snow guns are needed just in case there was not enough snow for the mountain races, you are indeed ready. The 710,000 cubic meters of snow kept in storage from last winter for the games was another high IQ, sports technology driven backup by operations. Other sports tech trends I noticed were drone hexacopter, helmet cams and Skeleton helmets artwork. A record setting 2,453 doping tests were conducted. The faulty Team USA Speed Skating suits made by Under Armour and Lockheed Martin were a big story. So was the two-man U.S. fiberglass bobsled that was ergonomically designed by BMW with a new steering system giving Team USA a competitive edge that earned them a bronze medal, ending a 62-year American bobsledding drought. The Fisht Olympic Stadium and others have been designed with sustainability features such as being demountable. The Rosa Khutor Alpine Resort that hosted downhill events like aerials and halfpipe has firm plans to operate as an International ski resort, which features 18 ski lifts, 48 miles of slopes, six hotels and four others nearing completion. Rosa Khutor is owned by the metals billionaire Vladimir Potanin, with a net worth estimated at $12.6 billion by Forbes this year. He visualized the concept before the Olympic bid in 2008 had been won, then executed building his dream ski resort. The Laura Ski Resort with over nine miles of Caucasus Mountain trails, plus the site for the biathlon and cross-country competitions, located a gondola ride up from the base of Laura, cost close to $3 billion. In summation, all the Olympic quality coastal cluster and mountain cluster venues and infrastructure eight-years later after the closing ceremonies are now in fear of a flameout. A new Formula One track is under construction and Russia will host the FIFA World Cup in 2018 at Fisht Stadium so look forward to those events. 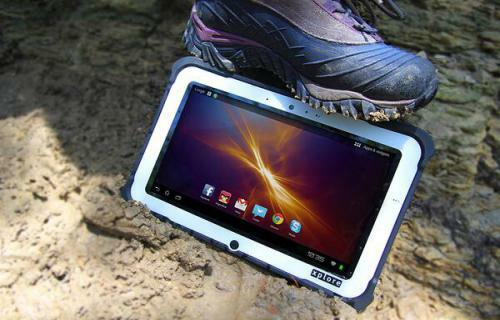 Rugged Tablets by Xplore Technologies helped track massive Sochi crowds, with Intel’s i7 Core processor. Rugged tablets can let officials use ID card verification applications that use barcode scanners to make sure the right person is entering the event. Scanning through events in the snow is often a problem for consumer tablets not created for wet conditions. The rugged tablets use resistive touch technology allowing officers to input data with gloves or through snowy, ice and wet conditions. The Sochi Games were a mobile technology bonanza with countless uploaded pictures, tracked visitors and happy athletes. Peace be with you, Russia and thanks for Sochi. Photos by IOC Media and Xplore Technologies. Sports Techie, Words cannot describe how cool it is to be connected with Mr. Dmitry Chernyshenko, the Sochi 2104 Organizing Committee, President and CEO. As a result, I have paid special attention to his tweets for several years now and enjoy our friendly social media connection immensely. Will Sochi follow the carbon footsteps of Beijing and Sarajevo with stadium and venue “white elephants”? This is the question the whole world wants to know the answer to and is worthy of additional blog coverage in the future. Blogging about the sports technology centric Sochi 2014 Winter Olympic Games for iQ by Intel was easy to do because I enjoy when sports and technology merge for the better of mankind, animal kind and robot kind. I hope you enjoyed the Sochi 2014 Olympics in Russia, with sports tech love.